Liverpool are discussing a move to sign Sandro Tonali. 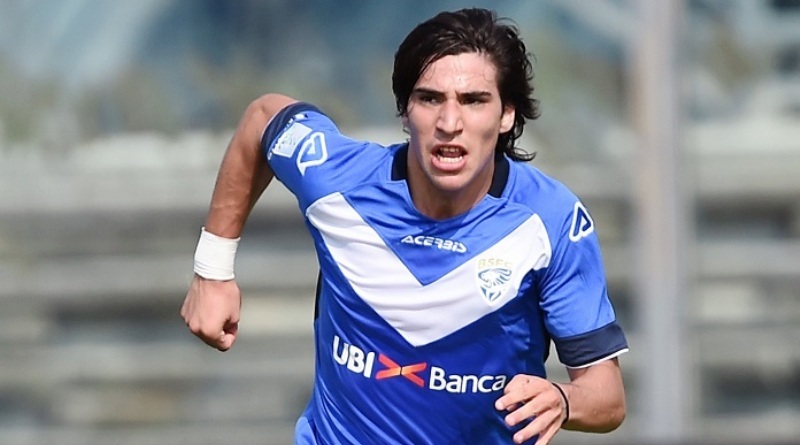 The latest reports in England suggest that Liverpool have entered talks with Brescia for Sandro Tonali. The 18-year-old has been subject to interest from various European clubs. Sandro Tonali made 38 appearances across all competitions for Brescia, scoring 4 goals and supplying 7 assists in return. The 18-year-old has been touted as one of the brightest young prospects in Italy. Sandro Tonali has represented Italy at Under-19 level, winning 11 caps. Jurgen Klopp has always been a manager who keeps his eyes on the most talented young players across the globe. He is a long term admirer of Sandro Tonali and believes he can get the most out of the Italy international. Tonali would provide a good variety to Liverpool’s midfield. Brescia are not in a position where they need to sell and would like to keep hold of the midfielder, but right offer may force the club to consider a deal. Signing the 18-year-old in the summer transfer window would be a masterstroke from Jurgen Klopp. Stylistically, he would be a great fit in Liverpool. How strong that interest is and whether Liverpool will make a move remains to be seen but it is certainly one worth keeping an eye on.